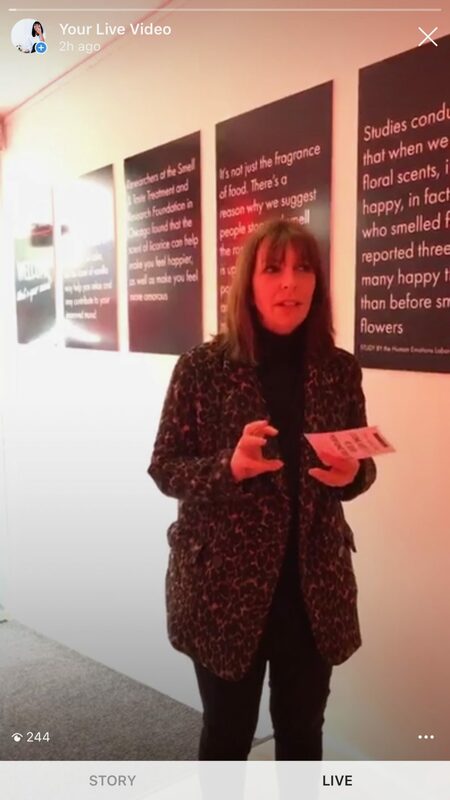 A quick last minute post as I’ve just come back from the Perfume Shop’s Pop Up in Great Newport Street in Covent Garden where I was doing an Instagram Live. They’re far more terrifying than Facebook Live let me tell you – (if you want to watch it, go HERE but it’s only available for 24 hours) and I ended up knocking over some mini-fragrances – there is nothing you can do! No editing. Anyway, I really had such a good time and it’s cool pop-up with…. 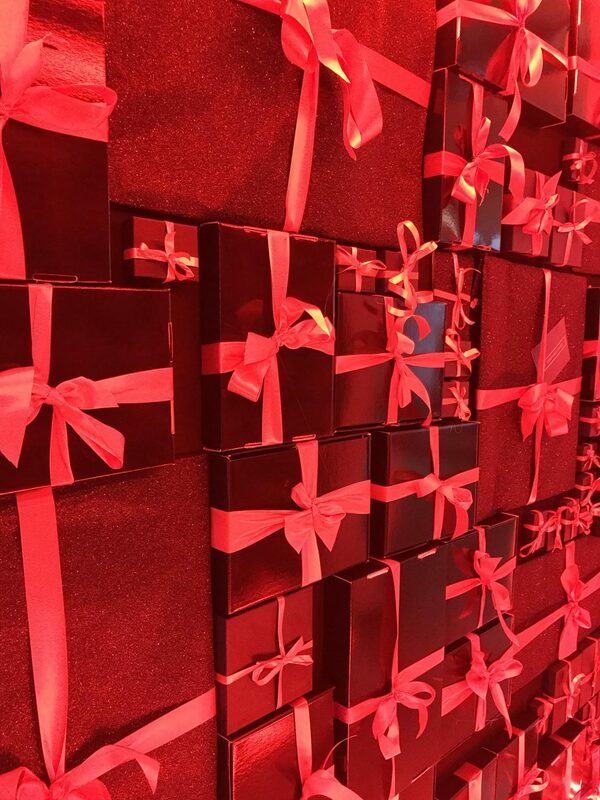 … a very Instagramable gift wall at the entrance. Someone was busy with ribbons! It’s got three main rooms where you can look at all their gift sets and everything is on offer so you pay one full price and then one half price item. There’s also a gift with all purchases – everyone is going for the mini Caroline Herrera Good Girl shoe! 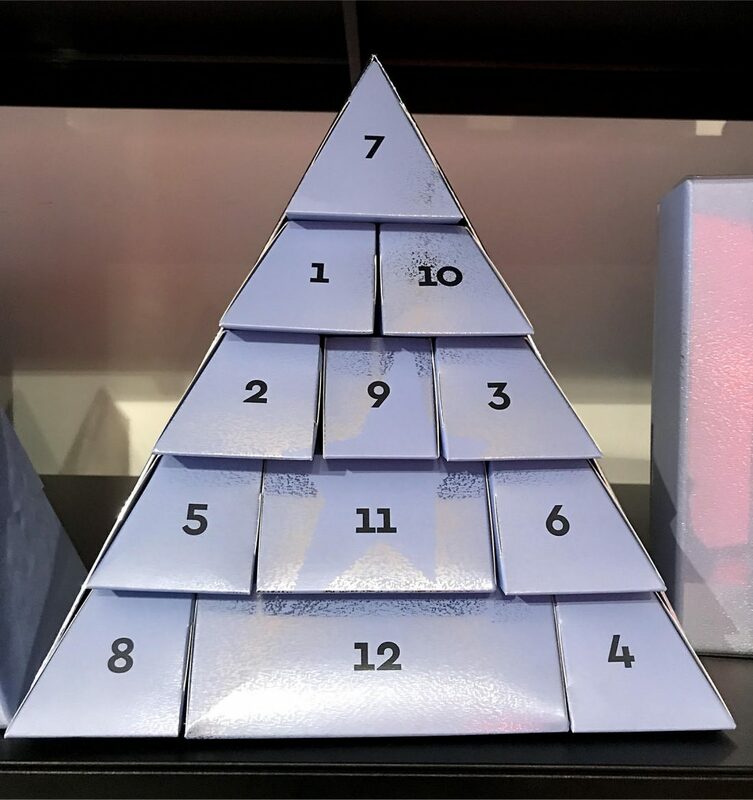 I also spotted the Thierry Mugler Angel advent – Angel is the marmite of fragrance: I hate it, but I know plenty of people who adore it. I actually ended up buying things myself – the offer was too good to pass up. 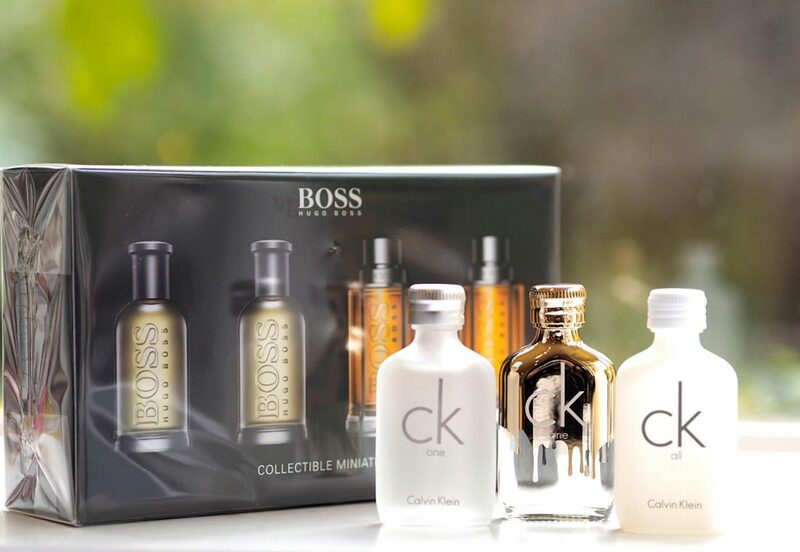 I bought the Calvin Klein Mini Fragrance Set and the Hugo Boss Mini Set for my daughter and son for their stockings. Usually, I get these in Duty Free and didn’t even know that The Perfume Shop sold them. The offer is also on-line til 9am Monday HERE but I’m not sure whether the shoe is in the free gift offer or whether it’s a Pop Up exclusive. So, this is just an extra post for those of you who aren’t on Instagram in case you want to add it to your weekend list of things to do. I know it’s London based but the on-line offers are great too.